The animal kingdom is nothing like living in captivity. Young animals are immediately put in front of dangers that the mothers and fathers can only tend to for so long. They might be super cute, but that doesn’t help in the wild. 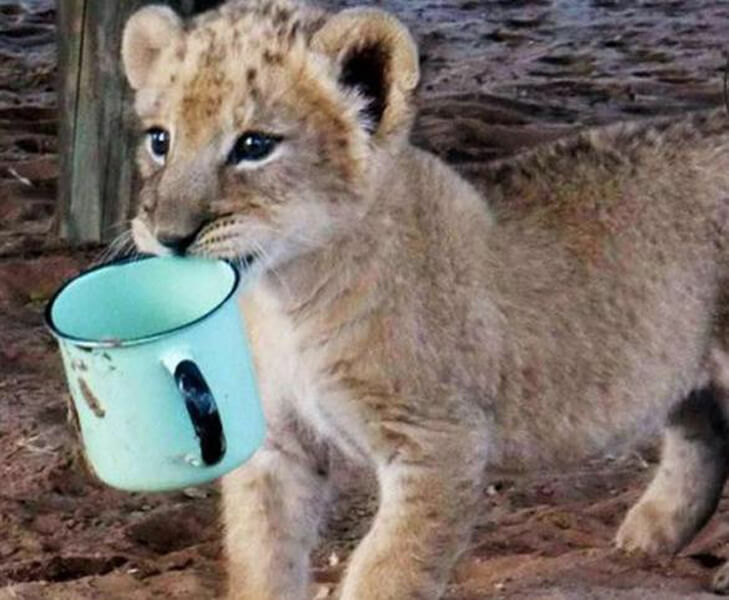 When one lion cub fell ill, her pride couldn’t help and continued on without her. How would she survive without her family? Well, continue on and discover one of the most unlikely bonds you could have imagined. 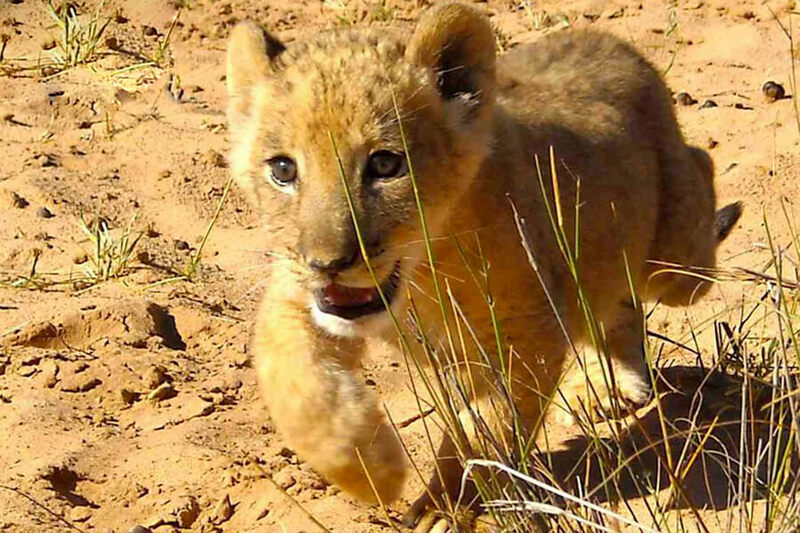 In 2012, a lion cub would begin a journey that no one could have predicted. 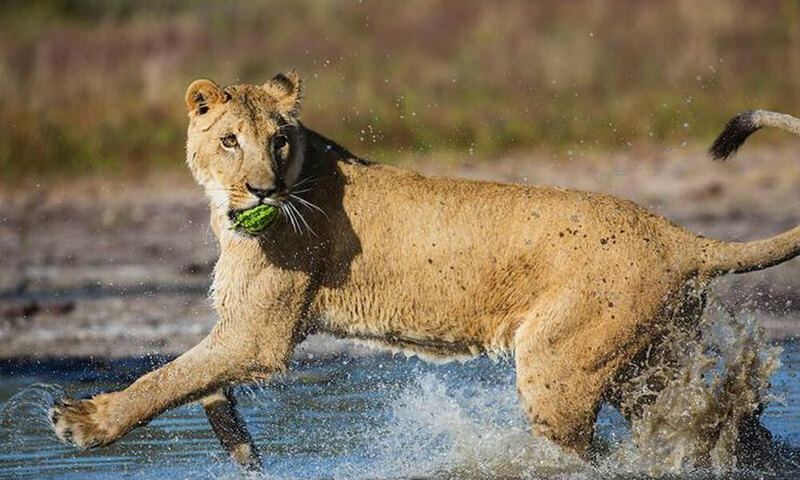 In February of that year, a female lion cub was discovered on the outskirts of a farm in Botswana. She was in terrible condition. The little cub could barely move and she was starving. 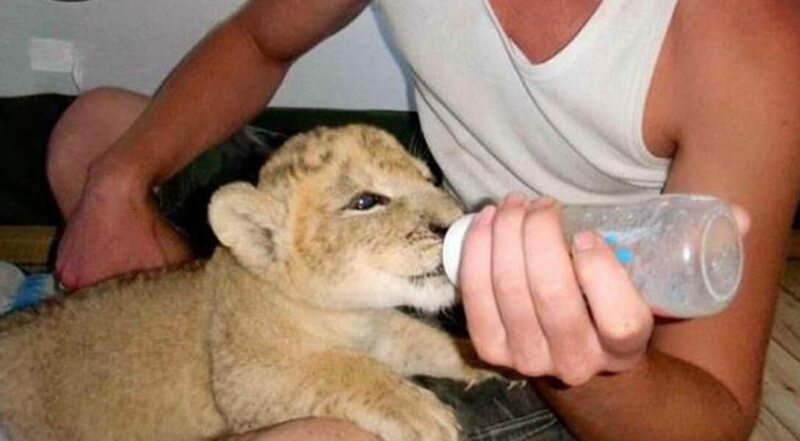 The rescuers knew they had to act quickly so they could nurse the cub back to health. It wasn’t going to be easy but they were prepared for it. 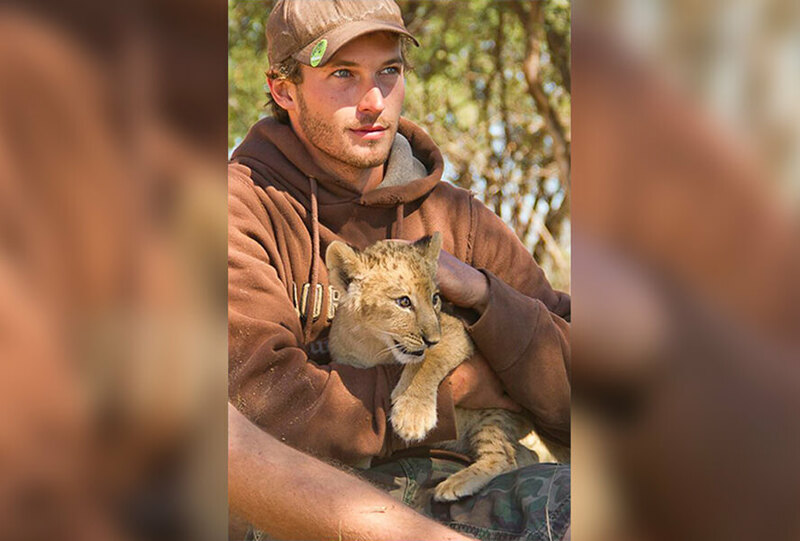 After the rescuers took her in, they knew they had to name the cub. They ended up calling the young cub Sirga. They remained optimistic about being able to bring her back to health. Tender love and care was the name of the game now. Sirga’s story was one you didn’t really want to talk about. For being so young, she had already been through a lot. Many others would not have been able to make it. Sirga wasn’t the only cub that was separate from the pride. There were two other cubs born with her, but sadly those two ended up passing away. When Sirga’s health began to fail, the rest of the pride decided to leave her and fend on her own. That’s just how the animal kingdom works. Although unfortunate situations like that happen with humans, it’s not all the time. Also, now that Sirga was by herself, her chances of survival were low. For Sirga to get back to living a healthy lifestyle, it would take a team effort. After all, she was a lion, the king of the jungle, so it wouldn’t be just some simple task. 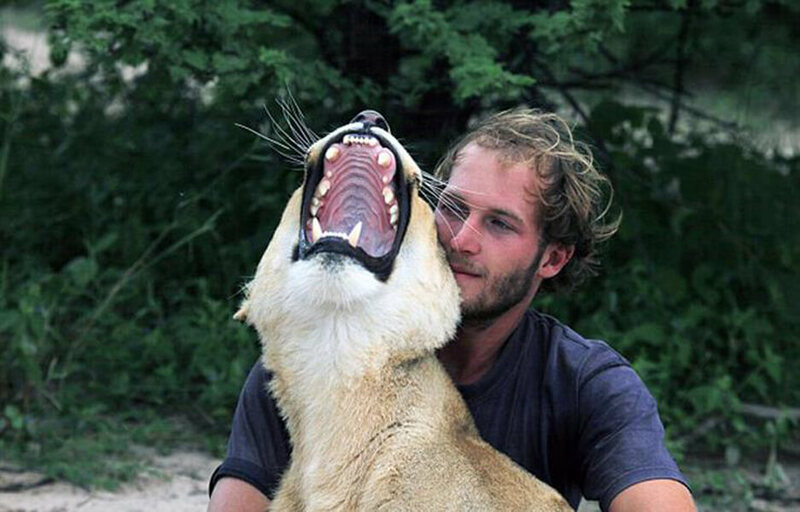 That’s why conservationist Valentin Gruener led the team that found her. He started a campaign to bring the cub back to his headquarters and treat her for malnutrition and exposure to the elements. These were the first steps to the process. 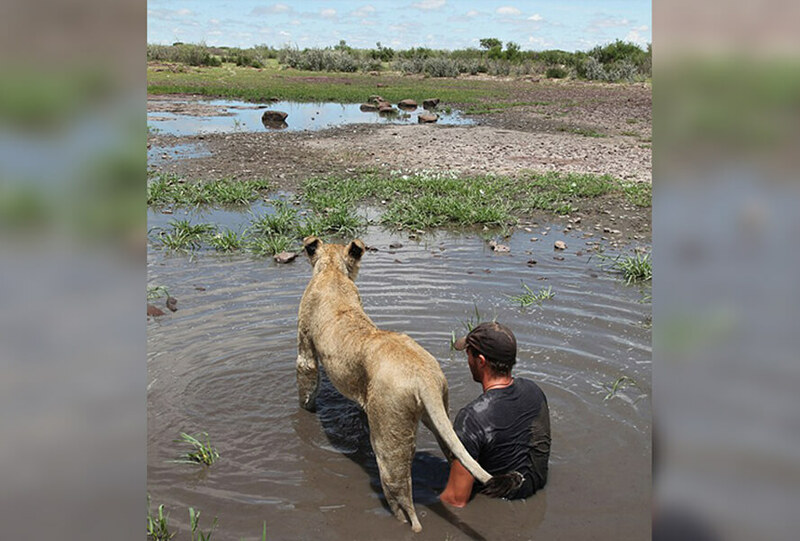 Valentin felt a higher need to fix this situation because he was the co-founder of the Modisa Wildlife Project in Kalahari, Botswana. 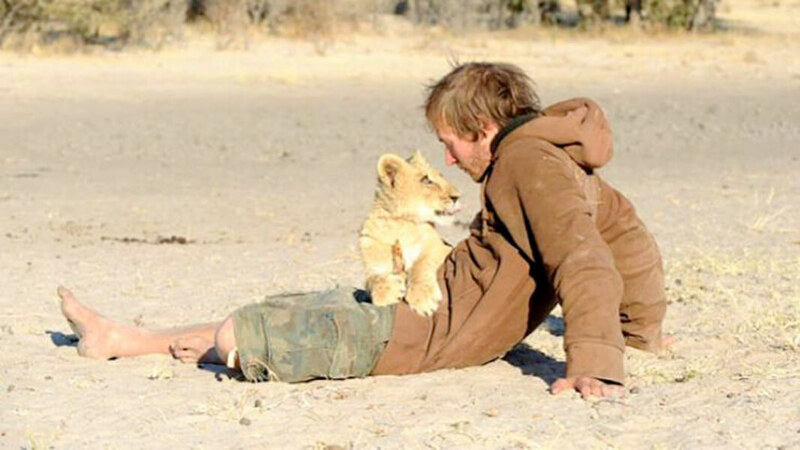 The cub needed desperate attention, and he was going to be there. That’s when Valentin teamed up with the local veterinarian to help figure things out. 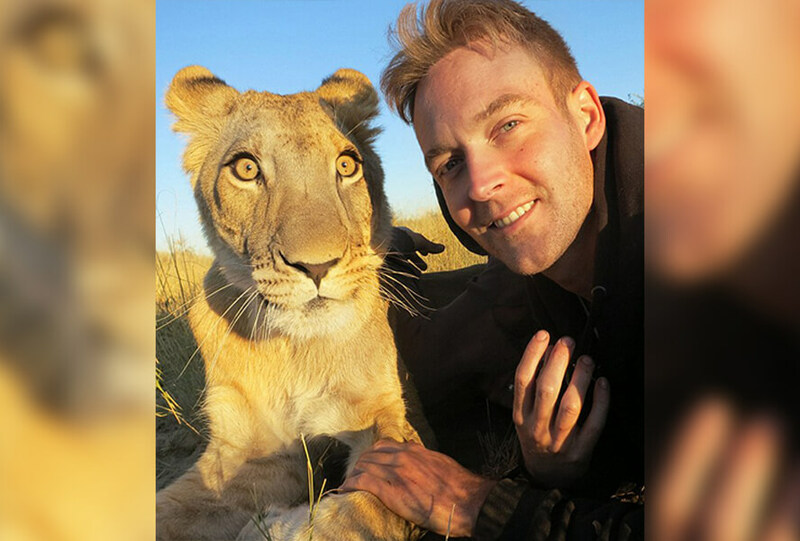 The two of them concluded that the four-pound cub would need an IV drip to help rehydrate her. That seemed simple enough and was the best plan of action at the start. The IV drip was only the start. 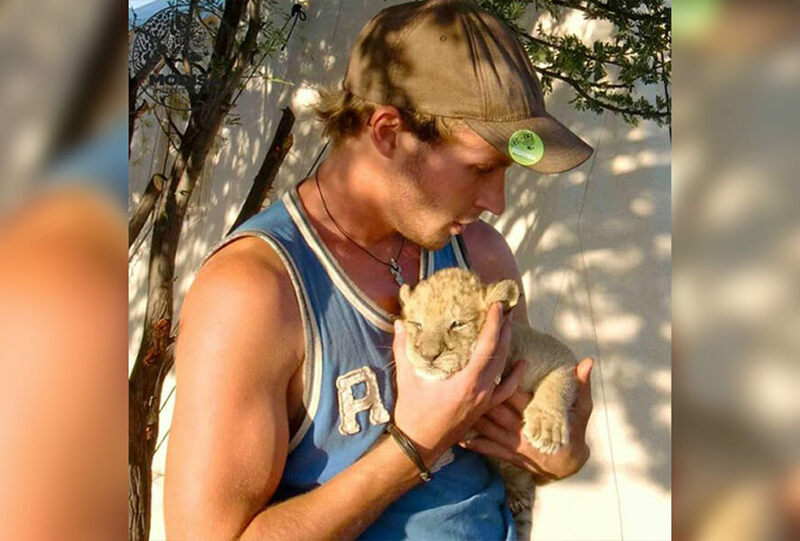 Naturally, there would be more in the process to bring this little cub back to health. What the veterinarian and Valentin did next is put Sirga on a strict diet. Much to everyone’s surprise, Sirga came out of the fire better than ever. She did more than survive, she started growing and thriving! The plan of action implemented worked wonders and the people at the headquarters couldn’t believe it. 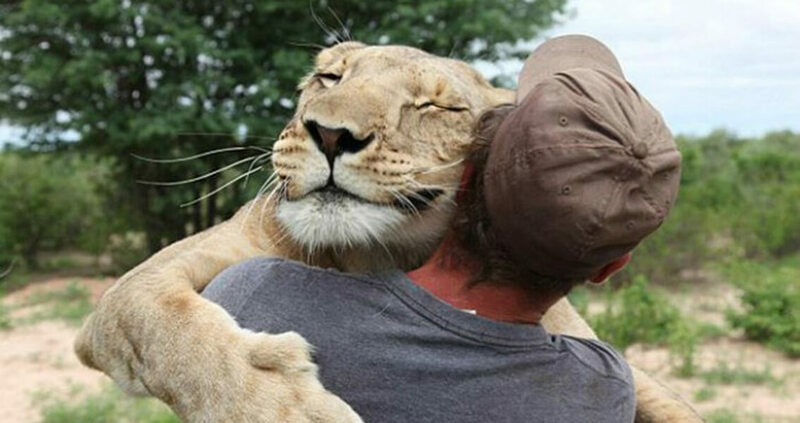 “To this day we believe she is probably the most spoiled and well-fed lion in Botswana,” Valentin said with a smile. We know he was happy about this the most. Sirga would still need special care moving forward, however. A year went by with Sirga under the special care regime, and she had put on 170 pounds! That’s more than Valentin and his team was expecting, and they were pleasantly surprised. With all of this growth, they decided it was time to take Sirga off of that special diet and get her acclimated with a raw meat diet, the same type of food she would enjoy if she was in the wild. It makes sense because she is still a wild animal. Thanks to Sirga’s pride leaving her when she only a cub, Sirga viewed Valentin and everyone else at the headquarters as her real family. They were the ones who protected her, nursed her back to health, and gave her love when her birth family left her. However, when Sirga reached the age of three, Sirga’s size had nearly tripled. Valentin and the staff could hardly play with her like they did when she was smaller. The size of Sirga soon became a real issue for everyone except Valentin. The others weren’t apt to keeping up with Sirga at this measurement which made all the more sense for Valentin to keep up with her. He was the primary one that helped her get to where she was at that point. Valentin was the only one who could keep up with her playful spirit. She pretty much considered him a surrogate father, if you will. 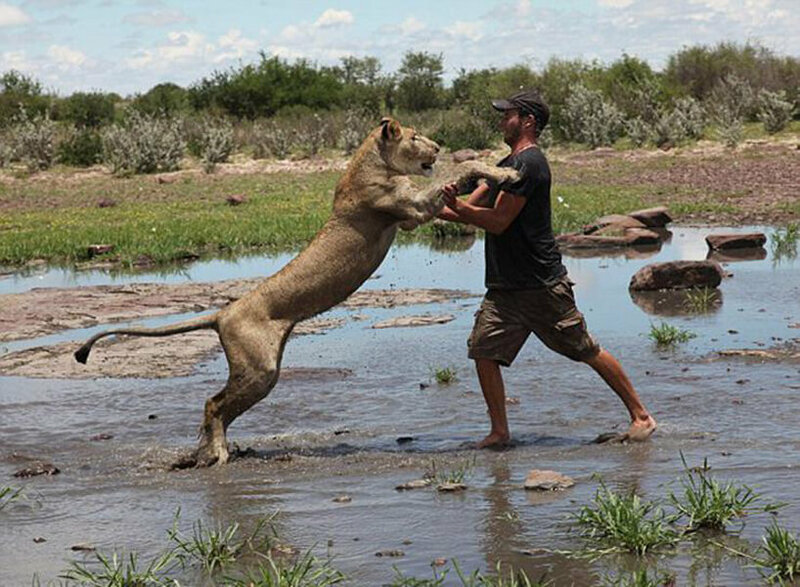 Even though Sirga had grown significantly more massive than her human father, that didn’t prevent her from doing things a regular lion would do with someone their size. She loved to put her head in his lap to fall asleep. Sirga also enjoyed lunging herself at Valentin for a big hug. She provided him with the same love and care that human kids give their parents. Would this turn out to be a bad thing? Taking care of Sirga became a real-life parenting situation for Valentin. Sirga was like his real daughter and with that comes all the things that are attached to actual parenting. 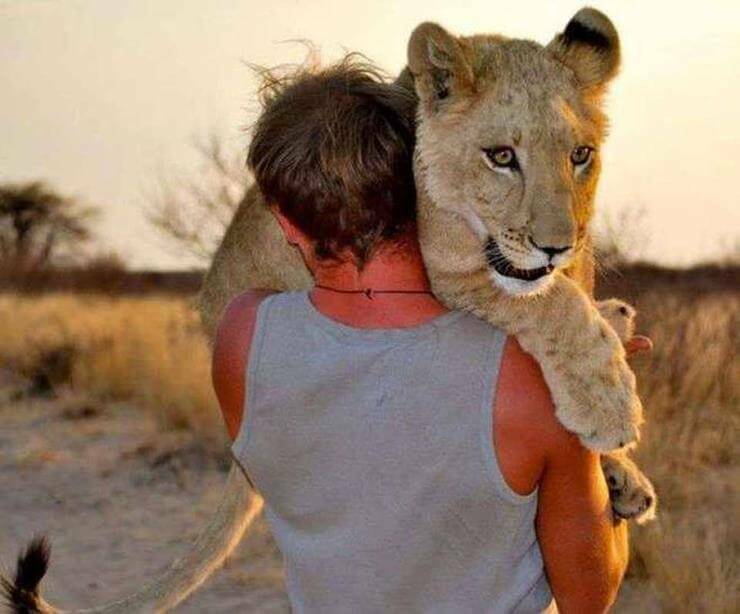 Some challenges came along with the task of taking care of a lion. The issues weren’t the same as when you have a human daughter. In fact, what Valentin dealt with would make even the best parents of human three-year-olds shiver. It is a lion he’s dealing with here. 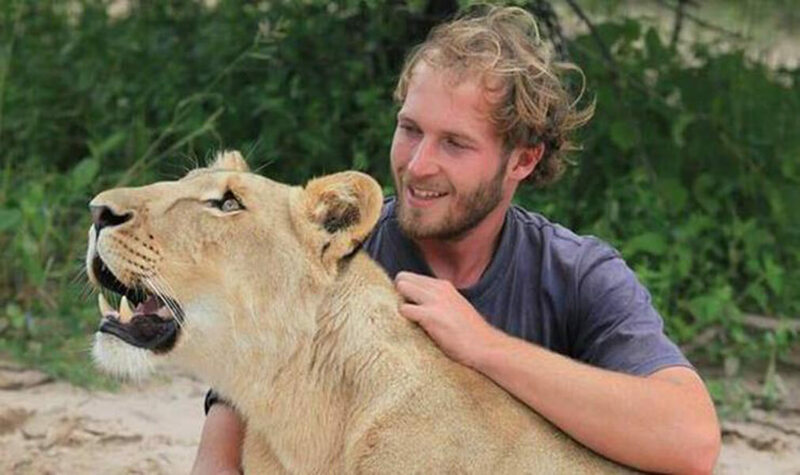 Valentin and his team of helpers began to train Sirga so that her transition into the wild would be a smooth one. They converted her extra playful energy into meaningful teaching opportunities. This could have very well been a dangerous situation. Since Valentin trusted Sirga and Sirga grew fond of everyone else, this process wasn’t as dangerous as it sounds. As you see in the picture, you can get a feel of what type of activities that were going on. There was only so much that Valentin could do for this fastly growing, beautiful wild animal. Humans may have raised her, but that wasn’t the life she was meant to live. She was born to roam the wild and be as free as the birds. They started by trying to keep Sirga occupied throughout the day, but that soon became a hassle. Valentin and the others knew preparing her for life in the desert was the right move to make. If Sirga were going to go back into the wild, she would have to know how to hunt. Heading back there without that essential skill would be detrimental to her survival rate. 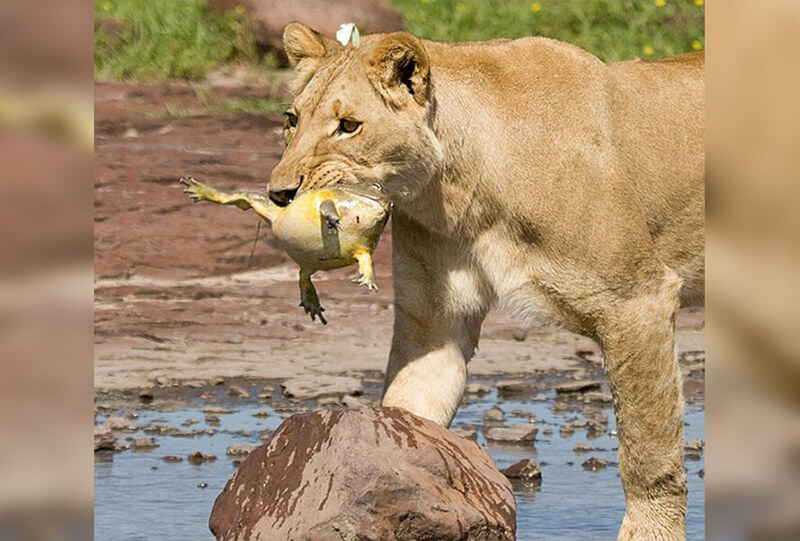 Did you know hunting wasn’t a natural skill set for lions? No matter what’s being taught or learned, unless you’re born a natural quick learner, it’s going to be a process. That goes for learning a new language to figuring out how to hunt! Sirga was no different when it comes to this. 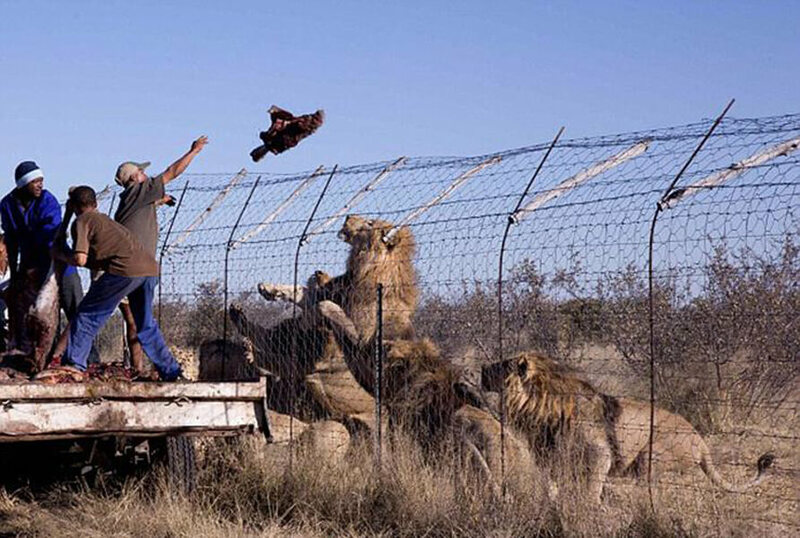 Most of the lions in captivity live in a way that is profoundly mundane and restrictive. If you ever been to the zoo, then you know what we’re describing. This was a lifestyle Valentin didn’t want for his lion child Sirga. Those are the reasons why Valentin and everyone else worked endlessly to ensure that Sirga wasn’t too domesticated. It was a little bit of a task, but they knew it would be worth it in the end. 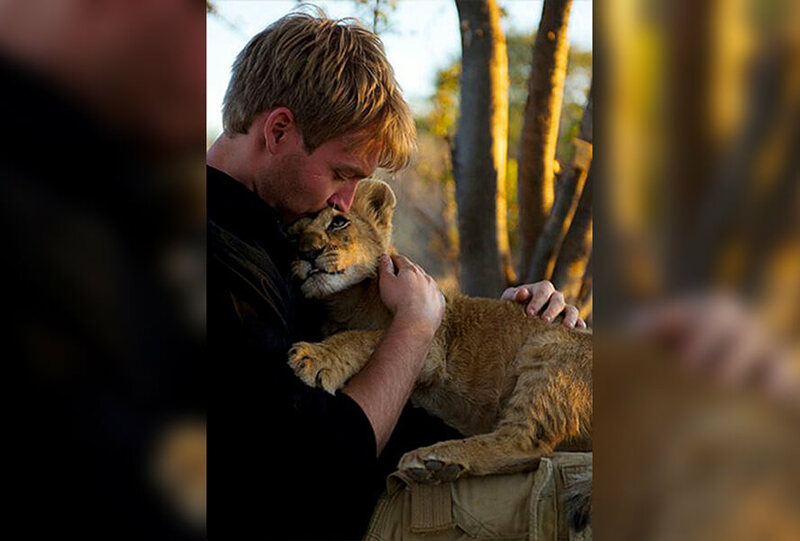 “We want to release her eventually as a wild lion, not as one who has met lots of people. That would be dangerous. She only interacts with us,” said Valentin. 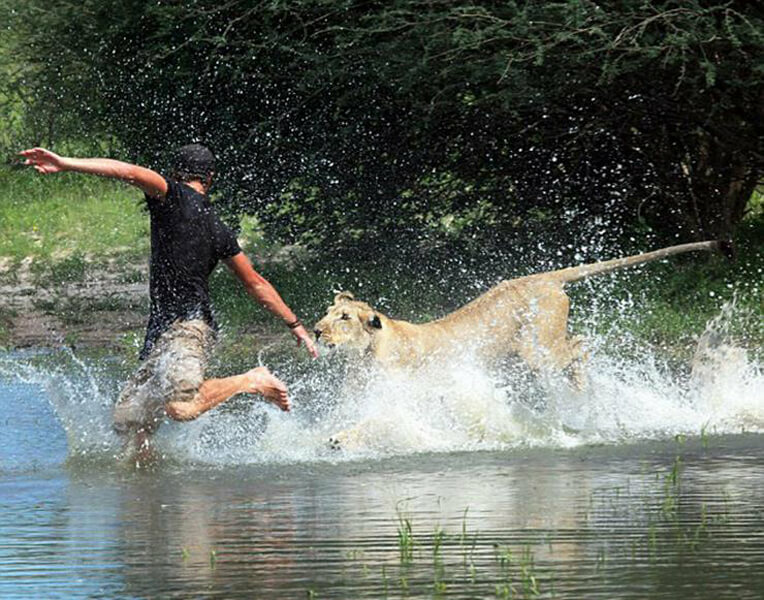 Being that way would be dangerous because other animals wouldn’t hesitate to take her out. This touching story eventually made its rounds outside of the just the headquarters. 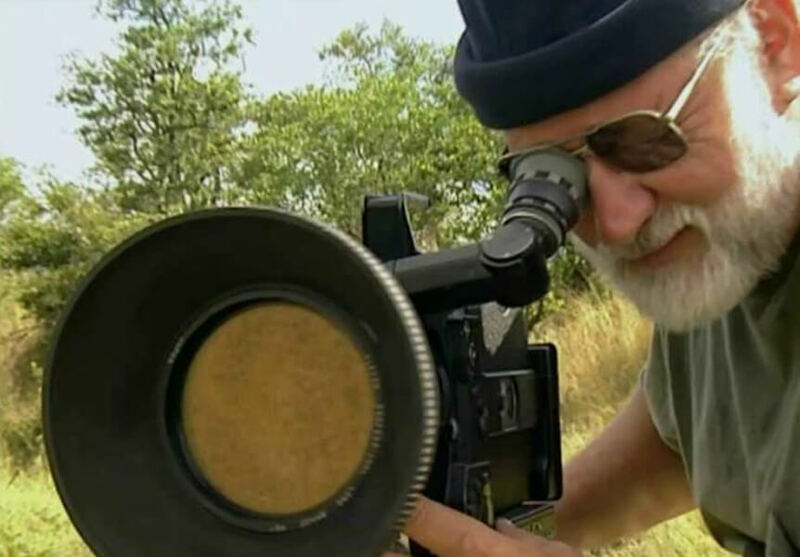 Filmmaker Jurgen Jozefowicz caught wind of what was going on with Valentin and Sirga. He was inspired by it so much that he started on a six-part series. The series was about the bond between Sirga and Valentin and was called Lionheart. If everything went as it was supposed to, it would also feature the release of Sirga and a sad goodbye between father and daughter. The bond between Sirga and Valentin was one-of-a-kind. She owed her entire life to that man, and he was happy there the whole time, prepping her for life without him. Knowing in the back of his mind that she would be gone soon must have been hard. It’s never easy when you have to say farewell to anyone you’ve become so close with. The bond they had was one you would see in a Disney Movie. It was due to fate that they came into each other’s lives.